Bring your desktop to life with Firefly Living Desktop! Fireflies dance on the still surface of a forest pond reflecting their glow in the still night. Transform your desktop into a tranquility living scene with Firefly Living Deskop. 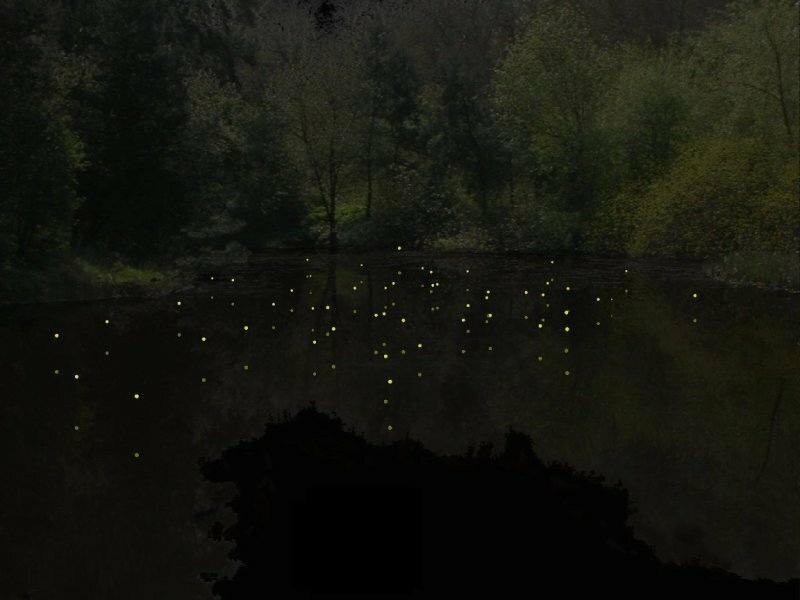 Firefly Living Desktop allows you to change a number of features of the scene including the number and color of the fireflies. Why settle for the same old wallpaper when you can have a Living Desktop? Screensaver Factory - Create your own personal or commercial screensavers for royalty-free distribution. Screensaver Factory is very easy to use and it includes special features for creating commercial screensavers. Good software for starting a screensaver business. Falling Snow Screensaver - Today we present a new, very nice, bright screen saver Falling Snow! This year, you can not buy spruce home. Why? With our screensaver you have a great Christmas tree, decorated with garlands. Download free snowfall screensaver now! Holiday Clock Screensaver - In the intro superb quality graphics, made the best of holiday traditions. All items are beautifully drawn. And besides, you are you can always watch current time. Screensaver is very easy to install! New Year Window Screensaver - If you have a bad mood or you do not feel the festive atmosphere, applicable set our screensaver. We assure you that your mood will improve! Screensaver is enjoyed both adults and children. Swan Love Screensaver - Our new screensaver Swan Love is great gift for those who love these beautiful birds and for those who want to surprise anyone. Set him (or her) this screensaver. You agree to gladden someone for sure. Screensaver shakes its high quality and realism.